Bringing further creative and other benefits to participants via a programme of deeper engagement activities.  The Progression Group(s) aims to encourage more stable and able participants to access weekly sessions at the Theatre independently – supported by Royal Exchange staff – and usually without the support of the Booth Centre. Members of the Progression Group have all taken part in the Theatre’s mainstream adult programme. There has been a total of 8 people in the Progression Group, with no more than 5 at any one time. Two of the members are now in paid employment. In year two of the partnership the focus was on participants’ creative development, with each member having their own mentor, and on training and skills development (e.g. sessions on drama games). The group also worked towards creating an exhibition about their experiences. This was presented in the Theatre’s Lounge space. 1. A Performance Progression Group which had an enhanced role in the Booth Centre’s April performance (Without the Aid of A Net). This led to two participants being part of the ensemble in The Last Days of Troy, a professional performance at the Royal Exchange. 2. An Event Team for Backstage? Me? who were present to greet people attending and to support them throughout the day. This involved several participants who didn’t engage with the weekly drama sessions (most of whom didn’t speak English as their first language). This strand was co-delivered by staff from the Booth Centre and the Royal Exchange. 1. Be realistic about what individual participants can achieve: they may be able to increase their understanding and knowledge of drama practice, but this doesn’t necessarily mean they can or would want to co-facilitate or deliver all elements of the drama sessions. 2. The members of the Progression Group often work best when engaging with other groups and individuals who aren’t their peers – e.g. members of the Theatre’s Young Company or drama students. 3. Participants thrive when they have something concrete to work on with clear boundaries and concrete goals: examples include the exhibition in year two or the Backstage? Me? event team in year three. 4. It is useful for the arts organisation, rather than the support organisation, to lead on the delivery of Progression opportunities and activities as this encourages independence. 5. Reflective practice, and opportunities to talk about experiences and learning in a group environment, are vital in terms of participants' development; the conversations had over a cup of tea have as much value as the sessions focusing on skills development … the wrap around pastoral care may have resource implications but it is a vitally important part of the programme. "It has been a really good experience, we started at the Booth Centre doing drama and now we've taken it to a much higher level… The Progression Group involves mentoring and working with others – it's like the Drama group but just deeper because we've been involved for so long. It's our reward for long service."